The iPhone 8, Apple’s iterative update to the iPhone 7 and 7 Plus, is now available in Canada. While the phone is an incremental upgrade over the iPhone 7 and 7 Plus, it also includes a variety of new features, most notably a new A11 Fusion processor, improved camera performance with an upgraded Portrait Mode that features lighting effects, and wireless charging. The iPhone 8 starts at $929 for the 64GB version and the 256GB iteration, is priced at $1,139. Meanwhile, the iPhone 8 Plus starts at $1059 for the 64GB and the 256GB is priced at $1,269. The phone is set to be available in ‘Silver,’ ‘Gold’ and ‘Space Grey’ colour variants. The phone can be purchase outright at the Apple Store. For more information about the iPhone 8 and the iPhone 8 Plus, check out my full review of Apple’s latest iPhone. 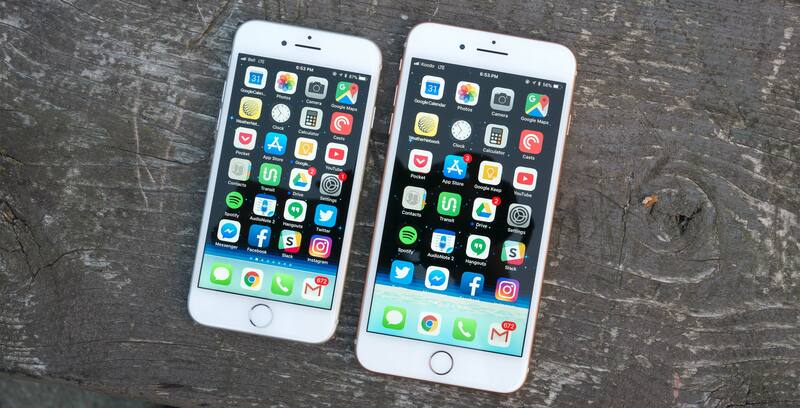 While pricing is relatively the same across the board in terms of 2-year offers on both the iPhone 8 and the 8 Plus, we’ve broken down Canadian carrier pricing structure below. With Rogers, the iPhone 8 is priced at $229 on a Premium+ plan for the 64GB iPhone 8 and $429 for the 256GB version on a premium+ plan. The iPhone 8 Plus is priced at $359 for the 64GB version and $559 for the 256GB version, both on a Premium+ plan. You can find Rogers offers here. Rogers’ flanker brand Fido is selling the 64GB iPhone 8 starting at $429 on a 2-year Large plan, and the 256Gb for $629 on the same plan. The iPhone 8 Plus costs $559 on a 2-year Large plan and $759 for the 256GB version. You can find all of Fido’s offers here. With Bell, the 64GB iPhone 8 starts at $229 with a minimum of a 2GB, $25/month data plan with an overall cost of $70 per month. The 256Gb iPhone 8 starts at $429 on a 2-year term with a minimum 2GB $25/month data plan, plus $70 per month per user. The iPhone 8 Plus on the other hand is priced at $350 on a 2-year term with a minimum of $25/month data plan with an overall cost of $70 per month. The 256Gb version is priced at $559 on a 2-year term with a minimum $25/month data plan with a $70 per month overall cost. You can find all of Bell’s offers here. Virgin lists the iPhone 8 64GB at $429 on a Platinum 2-year plan and the 256Gb iPhone 8 at $629 on the same 2-year Platinum plan. On the iPhone 8 Plus side of things, Virgin lists the 64GB version at $559 on a Platinum 2-year plan and $759 on the same 2-year offer. You can find all of Virgins’ offers here. With Telus, the iPhone 8 is priced starting at $230 at $95 a month on a 2-year plan and $430 for the 256GB version on a $95 per month data plan. The iPhone 8 Plus on the other hand, is priced at $360 on a $95 a month 2-year plan, with the 256GB coming in at $560 at $95 2-year plan. You can find all of Telus’ offers here. Koodo lists the iPhone 8 64Gb at $430 with a $21 Tab Large charge for 24 months. The iPhone 8 Plus on the other hand, starts at $560 with a $21 tab charge for 24 months for the 64GB version. You can find all of Koodo’s offers here. Eastlink lists Apple’s entire iPhone 8 line at $0 with the carriers’ Easy Tab plan (this is offered with every phone Eastlink sells). You can find all of Eastlink’s offers here. With Sasktel, the iPhone 8 64GB starts at $199 on a 2-year plan with Fast Forward, with the 256GB version being priced at $349 on a 2-year plan with Fast Forward. The iPhone 8 64GB is priced at $279 on a 2-year plan with Fast Forward, and the 256GB iPhone 8 Plus costs $399 on a 2-year plan with Fast Foward. You can find all of Sasktel’s offers here. Videotron is selling the iPhone 8 64GB for $199 on a 2-year plan starting at $89 per month, with the 256GB option coming in at $399 on a 2-year plan also starting at $89 per month. The iPhone 8 Plus 64GB is priced at $329 on a 2-year plan starting at $89 per month, and the 256GB version costs $529 with a minimum plan cost of $89 a month. You can find all of Videotron’s offers here. The iPhone 8 is listed at $229 for the 64GB model on a 2-year term with a Premium Plus smartphone plan. The iPhone 8 Plus on the other hand, starts at $359 on a 2-year term that’s attached to a Premium Plus smartphone plan. You can find all of BellMTS’ offers here. Virgin is selling both the iPhone 8 and iPhone 8 Plus in all variants and colour options. The iPhone 8 starts at $429.99 for the 64GB model on its 2-year Platinum plan and increases to $1169.99 no term. As for the iPhone 8 Plus, Virgin is offering its Members this for $559.99 on the Premium plan and tops out at $1309.99 no-term. You can find all price options at Virgin Mobile here.